We are now entering a major conference season. I have personally scheduled to attend four events over the next three months. Yet, there are many more that I would like to attend. Using a couple of different strategies, I can still benefit from them virtually. The strategies that I use and recommend are all based on the hashtag. Many conferences post a hashtag on their site in order to build community. If the event does not provide a hashtag, participants will often fill the void with their own. In the end, a common hashtag will emerge. Participants will often live share the proceedings. You are then able to benefit from these live reports. Participants also share resources that are mentioned or shared during the conference. I have personally benefited from this sharing. 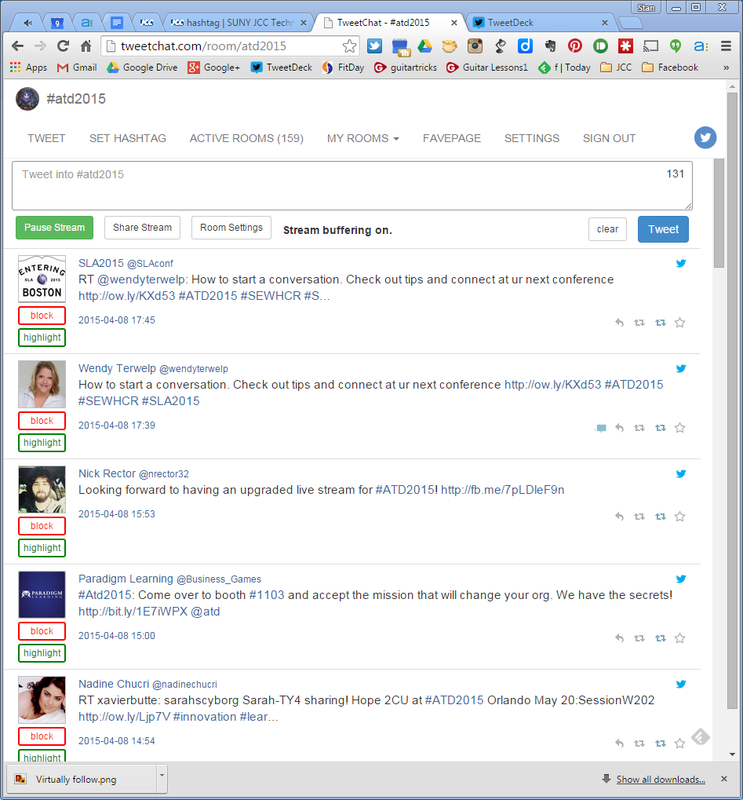 With tools like Tweetdeck, Hootsuite, Tweetchat, and Twubs, you can follow a conference in real time. I once followed a three-day conference on social media given by the US Air Force Public Affairs. 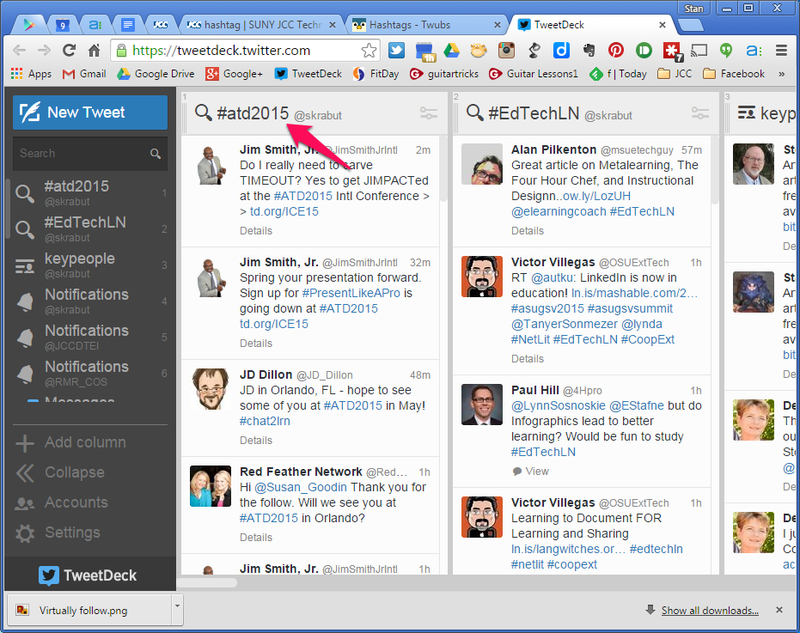 With Tweetdeck and Hootsuite, you create a search query to follow. 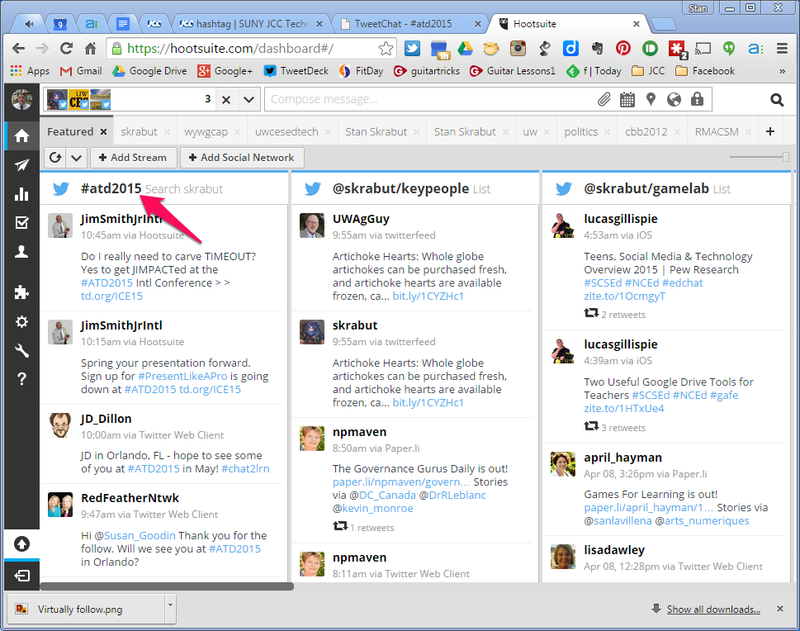 With Tweetchat and Twubs, you simply enter the hashtag. Each program has its pros and cons, you have to play with them to see which one is right for you. If you do not have time to virtually follow a conference live, you could grab a snapshot of resources shared with your own newsletter. Even though I will be attending the 2015 ATD Conference, I also wanted to collect resources shared. 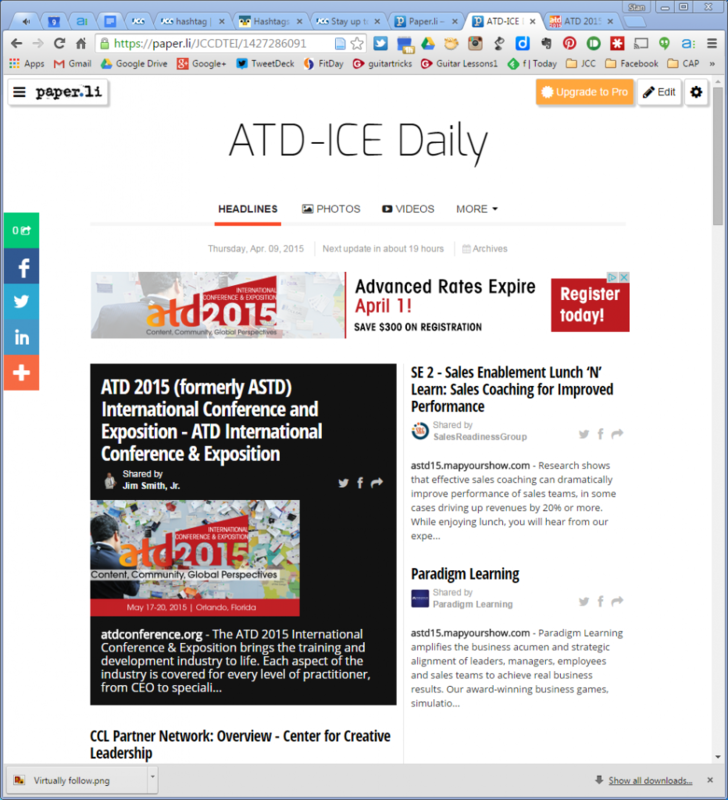 While the conference is over a month away, I started the ATD-ICE Daily to see what is being shared before, during, and after the conference. 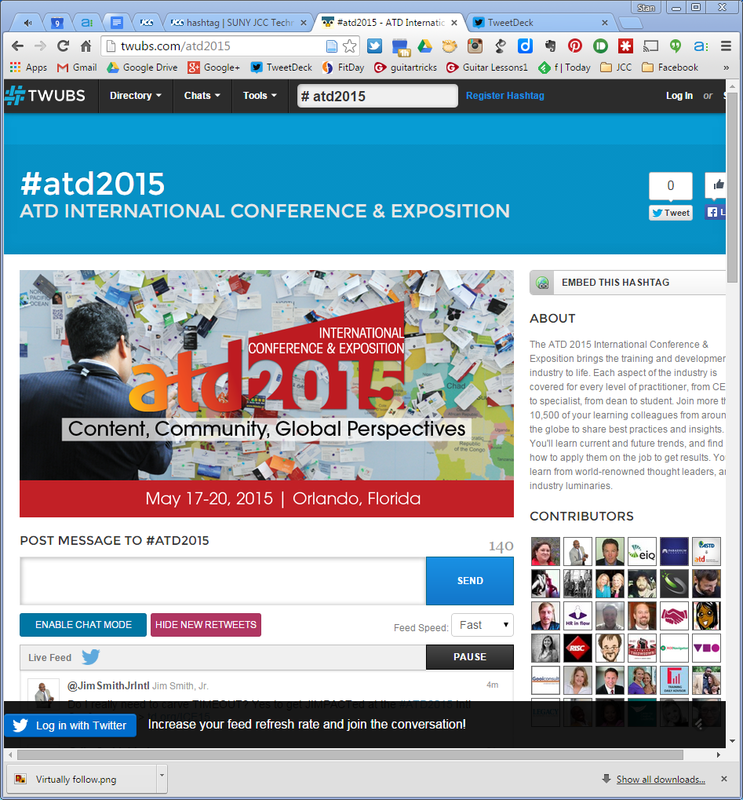 Using Paper.li, I built the newsletter around the hashtag #ATD2015. This is a quick way to get a feel for what is transpiring. Finally, you can capture every single post written about a conference and save it to Evernote, Dropbox, Google Drive, a Google spreadsheet, etc. 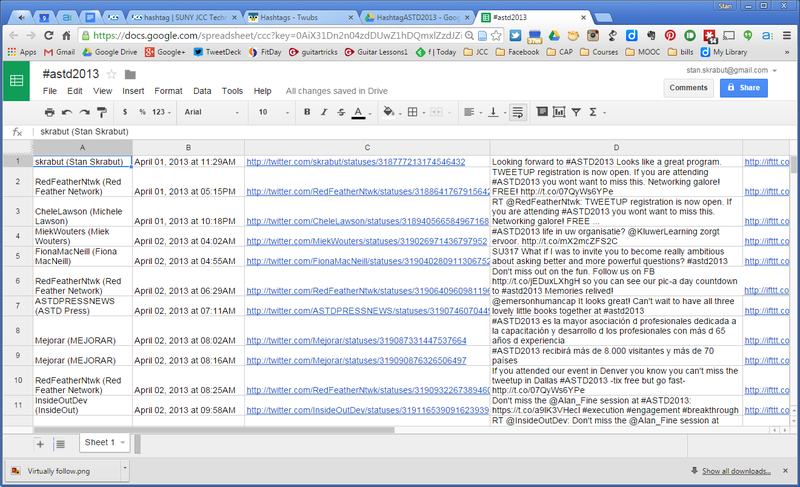 In this case, I am using an IFTTT recipe to save posts with a specific hashtag to a Google spreadsheet. I can then later review what was posted and mine the resources shared. 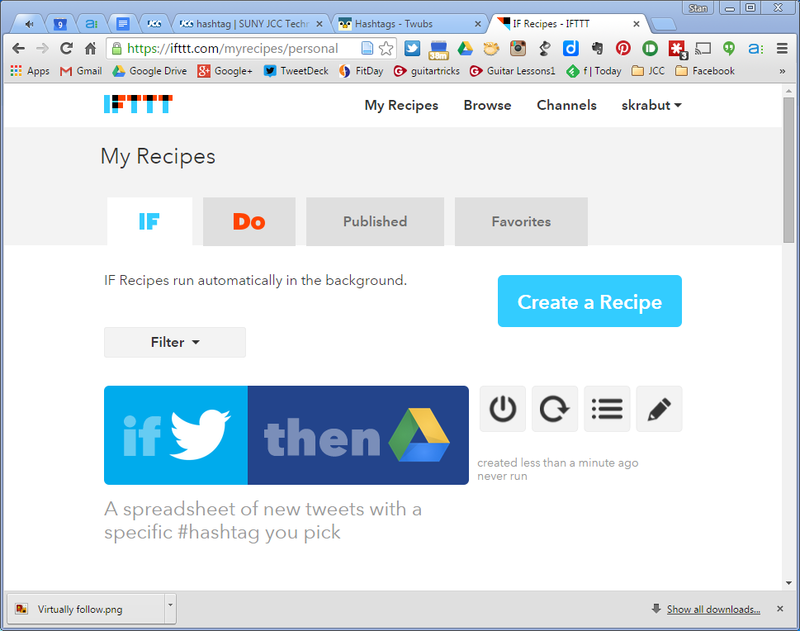 Here is a list of IFTTT recipes for capturing Twitter hashtags. You do not have to feel like you are missing out when you cannot physically attend a conference. Leverage some technologies and attend virtually. In a sharing learning community, everyone benefits. How do you follow a conference virtually? Please let me know in the chat.